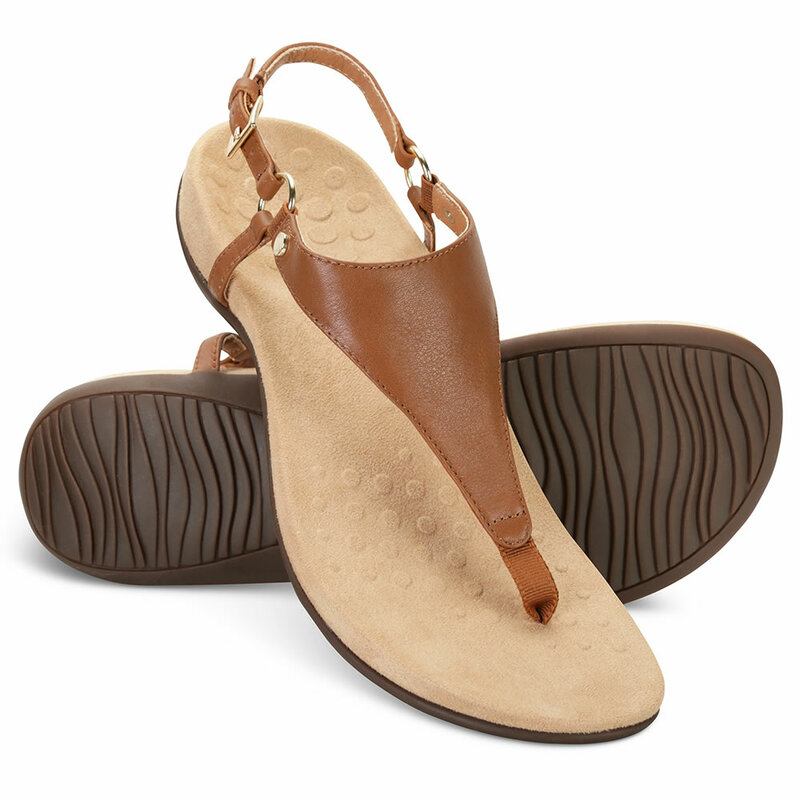 These are the leather slingback sandals that combat the painful effects of plantar fasciitis without sacrificing style. Deep heel cups are molded into the sandals’ shock-absorbing EVA foot beds, biomechanically designed to hug the arch and support natural alignment. As strain is reduced on the plantar fascia ligament, heel pain is alleviated; stress is also reduced on the feet, ankles and knees. A durable rubber outsole features a non-slip pattern. 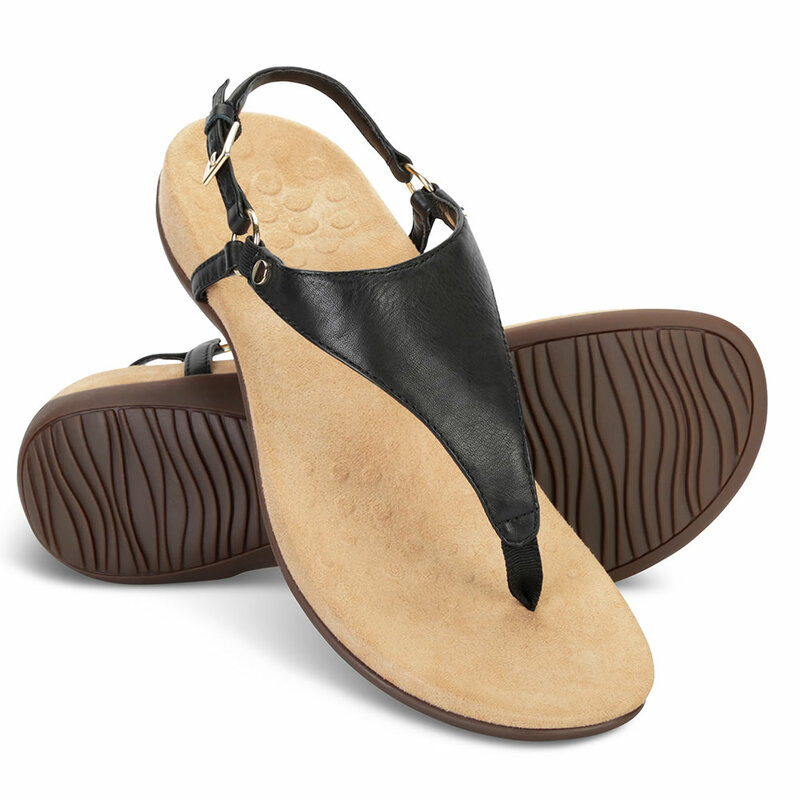 Uppers are constructed from soft leather with metal rivets and buckle detail; an adjustable back strap adds stability. Black, Brown, or Metallic Navy. Medium width. Women’s whole sizes 6-11. 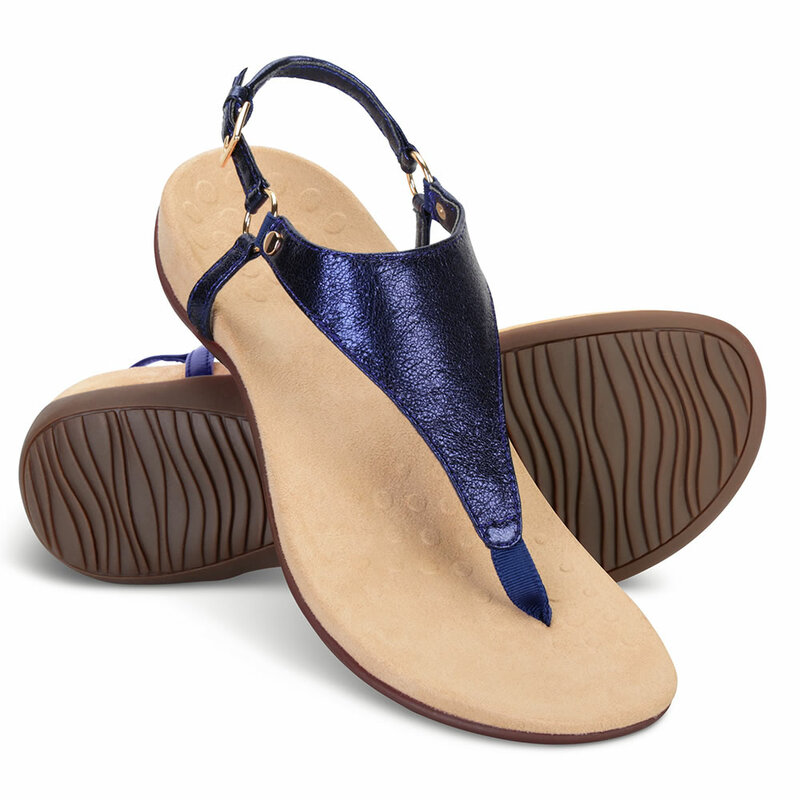 The Plantar Fasciitis Slingback Sandals come with The Hammacher Schlemmer Lifetime Guarantee. Items that we sell are guaranteed for their normal life under standard non-commercial use.